On November 27, 2014, Venus will rise in Scorpio. Rise of Venus will reduce all the interruptions in pleasures related to it. Know effects of Venus rise on your sign through this horoscope by Pt. Hanumman Mishra . Venus is known as the significator of marriage, conjugal life and marital bliss . It can be said that all these aspects suffer downfall with Venus combust taking place. All these hurdles will now get over, as Venus is about to rie. On November 27, 2014, Venus will rise in Scorpio . In this article, we will read effects of Venus rise in Scorpio 2014. Let us read Venus rise in Scorpio horoscope 2014 predictions. Rising of seventh house lord will bring betterment; however, due to positioning in eight house, problems might increase in number. According to Venus rise in Scorpio astrology, try being independent at this time. This is the time when control is needed on expenses as well as on sensual thoughts. Venus rise in Scorpio horoscope predicts extreme goodness in your personal life. If married, you will enjoy marital bliss; else, you will fall in love. Your familial life will remain prosperous. A decline in profits is foreseen for you by Venus rise in Scorpio astrology predictions. You might have to deal with abundant workload. It is required that you maintain peace in your personal life. It would be good to remain cautious while going for long journeys. Cancerians, you will feel good after sharing your feelings with loved ones. As per Venus rise in Scorpio horoscope predictions, this time is favorable for love and romance. You will get support of friends and siblings. Your awaited desires will come true. Venus rise in Scorpio astrology says that you will get inclined toward arts and music. Lions will experience a rise in their confidence level. According to Venus rise in Scorpio horoscope, progress is witnessed on workfront. Name and fame are also possible. During this phase, you will get opportunities for entertainment. Improvement will come in your domestic life. Venus rise in Scorpio astrology predicts rise in your confidence. You will remain enthusiastic and active. You might get close to your neighbour. Work front will improve. As per Venus rise in Scorpio horoscope, you will enjoy betterment in job as well. According to Venus rise in Scorpio astrology, financial matters are expected to flourish. You will plan for investment. It seems that you might get back your stucked money. Any auspicious event is also possible in family. Scorpions will enjoy an increase in enjoyment in their lives. Venus rise in Scorpio horoscope predicts decency in your behavior. However, this is the time to take good care of your health. Marital and love bond will improve. Sagittarians are expected to spend on luxuries. Try to keep pious and clear thought. Venus rise in Scorpio astrology suggests taking proper sleep and on time. Avoid going on useless long journeys. Your much awaited wishes and desires will now come true. According to Venus rise in Scorpio horoscope, friends and colleagues will support you. Love relation will intensify. Percentage of profits will increase. Familial prosperity will also grow further. Aquarians work with dedication and you will cherish assured success, as luck is with you. As per Venus rise in Scorpio astrology predictions, this time is favorable or professional life. Reputation and respect will increase. During this time, you will accumulate materialistic things. You are expected to lack patience, during this time period. 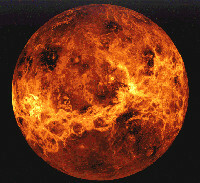 Venus rise in Scorpio predicts hurdle in endeavors. You might go on long journeys. Inclination toward religious and social activities is also possible.